Cubify’s EkoCycle Cube #3DPrinting #3DThursday « Adafruit Industries – Makers, hackers, artists, designers and engineers! When 3D Systems announced that will.i.am, the Black Eyed Peas rapper joined 3DS as its Chief Creative Officer last January at CES, will.i.am teased a printer that could print parts out of recycled plastic. 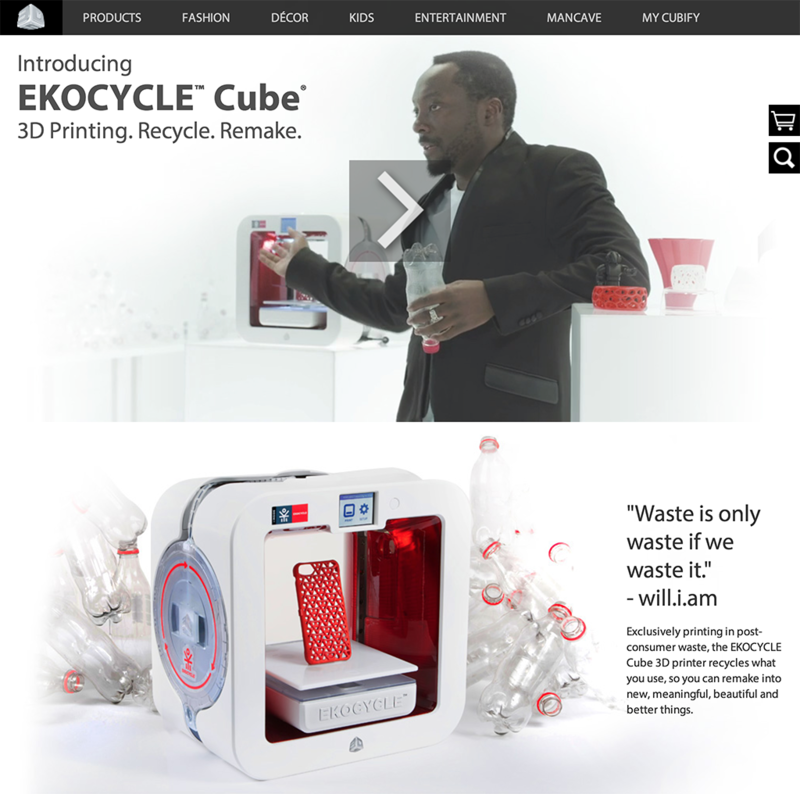 Today 3D Systems has announced that they will team up with will.i.am and The Coca-Cola Company to launch the EKOCYCLE Cube, a consumer 3D printer that uses filament made in part from post-consumer recycled plastic bottles. Check out the Ekocycle product page.